The Acclimate Plus detector combines thermal and photoelectric technologies into a single device. 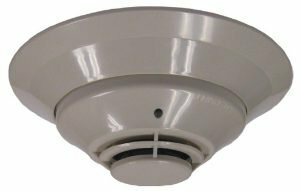 The Notifier FAPT-851(A) Acclimate Plus detector is an intelligent, addressable, multi-sensing, low-profile detector designed for use with Notifier Onyx and CLIP series Fire Alarm Control Panels (FACPs). The Acclimate Plus detector uses a combination of photoelectric and thermal sensing technologies to increase immunity to false alarms. 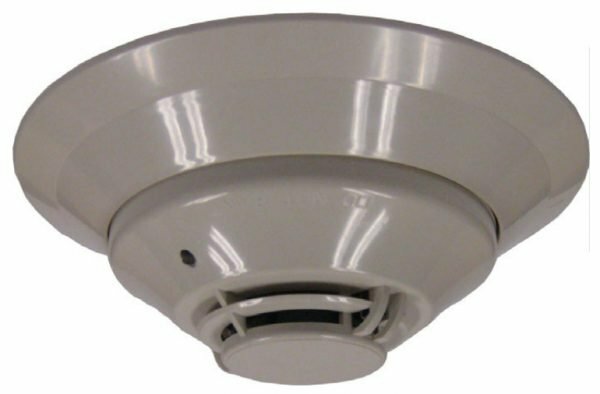 Unlike traditional intelligent detectors, the Acclimate Plus detector has a microprocessor in the detector head that processes alarm data. As a result, the Acclimate Plus detector adjusts its sensitivity automatically, without operator intervention or control panel programming. Areas where the Acclimate Plus detector is especially useful include office complexes, schools, college campuses, manufacturing and industrial facilities, and anywhere else the use of a particular area may change. The Acclimate Plus detector automatically adjusts its sensitivity to the environment. FlashScan is a communication protocol developed to greatly enhance the speed of communication between analog intelligent devices and compatible systems. Intelligent devices communicate in a grouped fashion. If one of the devices within the group has new information, the panel’s CPU stops the group poll and concentrates on single points. The net effect is response speed greater than five times that of earlier designs. Automatically adjusts sensitivity levels without operator intervention or programming. Sensitivity increases with heat. Microprocessor-based, combination photo and thermal technology. Compatible with all Notifier Onyx and CLIP series Fire Alarm Control Panels (FACPs). Addresses can be viewed and changed without electronic programmers. LEDs lock red when in alarm. In FlashScan, LEDs flash green in standby for normal condition. Several base options, including relay, isolator, and sounder. 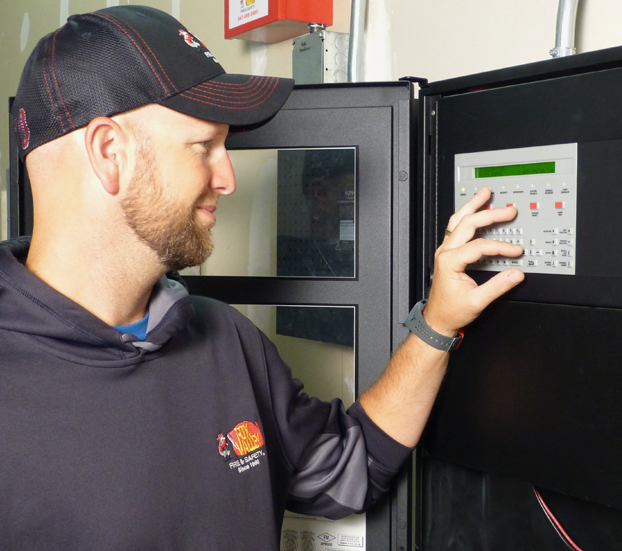 Capable of heat-only alarm mode, enabled by a special command from the panel. Smoke alarms are ignored. Low-temperature signal at 45°F +/– 10°F (7.22°C +/– 5.54°C). FAPT-851: Low-profile intelligent multi-sensor detector. FAPT-851A: Same as FAPT-851 but with ULC Listing. B210LP(A): Plug-in detector base; standard U.S. flanged low-profile mounting base. B200S(A): Intelligent, programmable sounder base capable of producing sound output in high or low volume with ANSI Temporal 3, ANSI Temporal 4, continuous tone, marching tone, and custom tone. B224RB(A): Relay base Screw terminals: up to 14 AWG (2.0 mm²). Relay type Form-C. Rating: 2.0 A @ 30 VDC resistive; 0.3 A @ 110 VDC inductive; 1.0 A @ 30 VDC inductive. 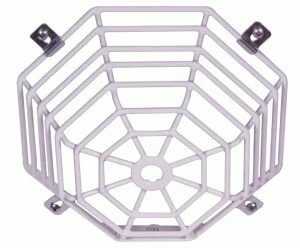 B224BI(A): Isolator base. Maximum: 25 devices between isolator bases. F110: Retrofit flange to convert B210LP to match the B710LP profile, or to convert older high-profile bases to low-profile. SMB600: Surface mounting kit for use with B210LP(A). XR2B: Detector removal tool. Allows installation and/or removal of FlashScan Series detector heads from base in high ceiling installations.